At the very least, you should set objectives before you act. Try to define what you will do whatever happens, and determine the amount of capital you are willing to lose. Don’t forget to decide when you will take profits – and you must have a specific target. We often decide on a target where we will close down 80% of our position and let the rest run until either it hits our stop or the trend obviously changes. Whatever you do, don’t become a casualty of emotionally involved buying or selling – trade with a plan. To select your trades you must have a predefined method. 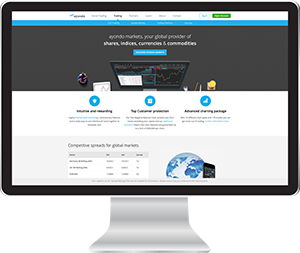 We primarily use software from ShareScope, Stockcharts.com and SignalTrader as the main tools to help us determine which markets are worth trading and whether to go long or short. You too must select a method, perhaps based on price momentum and trend. Don’t guess what the future is going to be, ideally trade the current trend direction. We suggest your method must consider your OWN risk tolerance and how long you want your typical trade to run. We pay close attention to sentiment and fundamental factors as we are interested in these things but you may decide to just focus on technical analysis. Whatever you decide on, stick to it. Never enter a trade without looking at a chart first. We suggest you look initially at the one-year trading range. Work out for yourself what trend is in place, if indeed there is any. Buying and selling decisions should be technical in nature. Remember that the fundamentals may be interesting but they will NEVER tell you when to buy or sell exactly. Always look at a chart for entry and exit timing decisions. Your overall probability of real success is far greater if you stay with a definable market trend. Statistically, these trends provide better profit potential with a lower amount of risk. 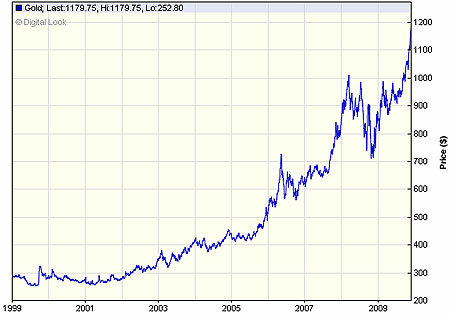 Consider if you had gone long on gold back in January 2009 when it was $720+ an ounce and recently (April 2010) it had climbed to some $1100. With most spreadbetting companies this would have generated a nice steady profit gain of 3800 points over a year. Of course, this is easier said than done. But if you can hang on, you get to a point where the intra-day moves don’t really bother you. A good rule is to watch a 50-day daily moving average using just closing prices to identify a trend. This moving average represents the intermediate trend of a stock, commodity or index. A shorter-term moving average, such as a 12-day or 20-day moving average, can be used as the trigger to open or close the bet. So if the shorter term moving average is below the 50-day, but then moves across to the upside of the slower moving 50-day that would be a buy signal. The reverse action would be a sell signal. The use of two moving averages like this should yield good results in keeping you in the trend. If you perceive the trend beginning to change, act accordingly by taking profits or placing stops to protect your capital. First of all, you need to understand what you are doing. You must track your trading history and performance so that you can later analyse what you are doing wrong and what is working for you. The most obvious technique is to cut a loss quickly. Too often traders fall in love with a position and persist in holding onto it as the market progressively moves against them. Professionals let profits run and cut losing positions ruthlessly. Amateurs do the opposite. Your bet sizes should be determined by the size of your trading account. A formula we often use is to multiply your capital, say £12,000, by 0.03% and then round up – that gives you the approximate bet size for your account. In this case the calculation comes to 3.6, so your average bet size should be £4. This is only a general guide and we would take into account the volatility of the market that we were going to trade. The lower the volatility the higher the bet size we would adopt. A very common mistake is for a newcomer with only say a £3,000 spreadbetting account, to bet too big on a volatile market. For example, a £5 a point bet on the Dow that goes against you 200 points in a day will have wiped out a third of this account. In any case, such a bet may have required £2,500 on the account to just open the bet as the NTR is 500 (500 x £5 = £2,500) dependant upon your spreadbetting company. Sometimes you won’t feel quite right about a buy or sell decision. If this feeling persists after you have done all your research and you have followed the rules to this point, don’t take the trade. Too often, people try to rationalise a decision. Don’t try to find a good reason for making a bad decision. Your decision must be a confident one – otherwise just stay out of the markets. Use the following criteria to help you decide how often you should trade. What are the markets doing? Using your method for screening for trades and this should tell you whether to trade or not. If there are no recognised opportunities then don’t trade at all. Do not trade just for something to do! The amount of capital you have at your disposal. If you have a spreadbetting account of £75,000 you can obviously trade more markets, and trade more often, than somebody who only has £3,000. Your experience in trading. If you are new to this business you should take it slowly, avoid the volatile markets such as the Dow and focus on building up your capital. Do not dip in and out of any market trusting only to luck or instinct. This is a recipe for getting wiped out. As a newcomer it will take 12 months from when you start to get a real feel as to what this business is all about, and to learn if it really is for you or not. Below is a rough guide as to how many markets or positions you should be looking at depending on the size of your account. Below £5,000: Maximum of 2 markets or positions at any one time and avoid volatile index markets, and ideally keep bet sizes to 0.05% (i.e. 1/20th of 1%) of your ‘pot’. £5k – £10k: Maximum of 5 markets or positions at any one time. 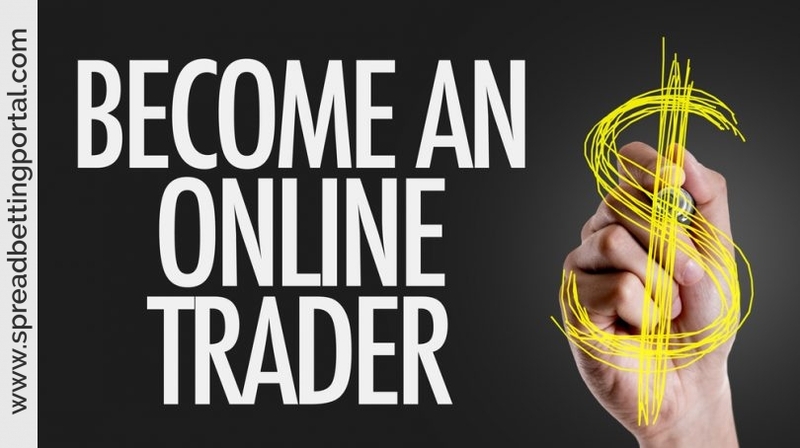 £10k – £15k: Maximum of 7 markets/positions at any one time. £15k – £30k: Maximum of 12 markets/positions. Once you have built up to over £30,000 you will have enough experience and capital to tackle most markets, and you probably won’t make the mistake of over-trading or spreading yourself too thinly. 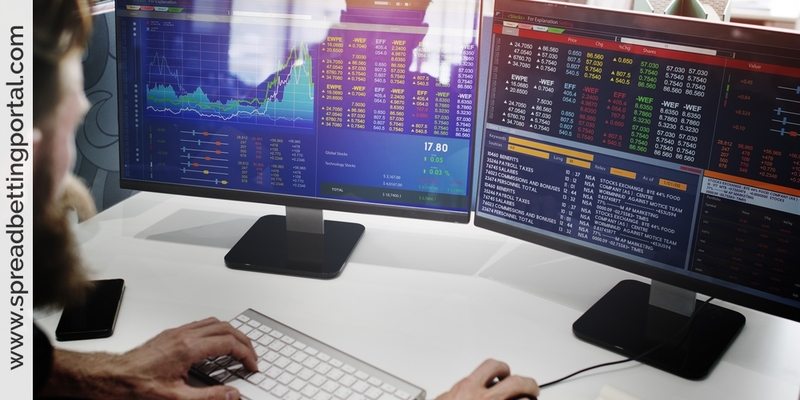 Make yourself thoroughly familiar with the deposit factor or NTR (notional trading requirement) of the markets you are interested in, and calculate what is needed to open a position with the spreadbetting company you are using. You will also need to know what the minimum bet size is and what exactly a one-point move means. For example, if the NTR on a futures bet on the FTSE 100 Index is 300 with one spread betting company. If the minimum bet size is £2 for this market you would need at least £600 just to open the bet. In reality, you would want at least £1,500 in your account to open a sensible bet and avoid getting early margin calls if the market moves against you temporarily. If the timing decision for entering a market was wrong, don’t make the problem worse by adding to the position as it moves against you (often referred to as ‘cost averaging’). The odds are that you will only compound the loss. If the reasons why you entered the trade were no longer applicable, it would be best to preserve capital and simply exit the trade with a minimal loss. The proper use of stops will protect profits and limit your losses. When you enter a trade you place a stop to limit the loss if the trade goes against you. When the trade becomes profitable, it is important that you use stops to lock in a profit. Anybody who tells you not to worry about risk control by advocating the non-use of stops is thinking like an investor and not a trader. In effect, they are recommending that you put your capital at unlimited risk. This doesn’t make any sense to us but that is exactly what buy and hold investors do all the time! Many people begin trading focused only on the potential profits. While nobody relishes it, losing is just part of the cost of doing this business. In effect, you should treat it as an overhead and not get too worked up about it. No one wins 100% of the time. We were told very early on in our trading careers that you only learn how to win after you learn how to lose. Think about that carefully. They are very wise words. How one handles loss is what distinguishes the professional from the trader. Making money safely takes time. Remember, not every day is a trading day! Only trade when your method of screening tells you to trade, and that would normally mean that you enter the market when the stock, index, sector or whatever is trending in a definite direction. Only trade when the probabilities are in your favour. Learn from Your Mistakes and Follow the Rules! The most successful traders learn from their mistakes. Unfortunately, a large number of people are doomed to make the same mistakes over and over again. This behaviour is usually a sign of emotional reactions to the market and the absence of any well planned strategy. That is why Rule Number 1 is ‘trade with a plan’. Most people fail in financial spreadbetting, not because of technology issues or lack of information, but because of their emotions. They will not learn from their mistakes and the mistakes of others. We have another section towards the end of this guide entitled ‘Psychology of Trading’, to emphasise the importance of having the right mental attitude in this business. Read it, think about it and apply it consistently. If you do, then you will have every chance of being very successful.